Getinge is pleased to announce the launch of its first patient transfer solution for multi-modality operating suites, named PILOT. This new patient-centered transfer system allows surgical staff to move patients between imaging systems and treatment rooms without having to reposition them. PILOT not only allows for seamless intraoperative imaging, but also for smooth patient transfer within the hospital. “The PILOT solution will revolutionize the transport concept within hospitals and will significantly contribute to more effective surgical workflows and increased patient safety. In combination with our Maquet Transmobil TT-M Patient Transporter (2), PILOT makes it possible to transport patients from the helicopter landing pad to any area of the hospital without having to reposition them.” explains Klaus Christian, Director Product Line Hybrid OR at Getinge. This offers benefits for both staff and patients, as it eliminates the strenuous and risky task of changing treatment positions. The PILOT solution features a new table top for the operating table Maquet Magnus in combination with a transfer board, which was jointly designed by Getinge and Siemens Healthineers. The transfer board is integrated into Getinge’s operating table Maquet Magnus and is suitable for X-ray and MR imaging. 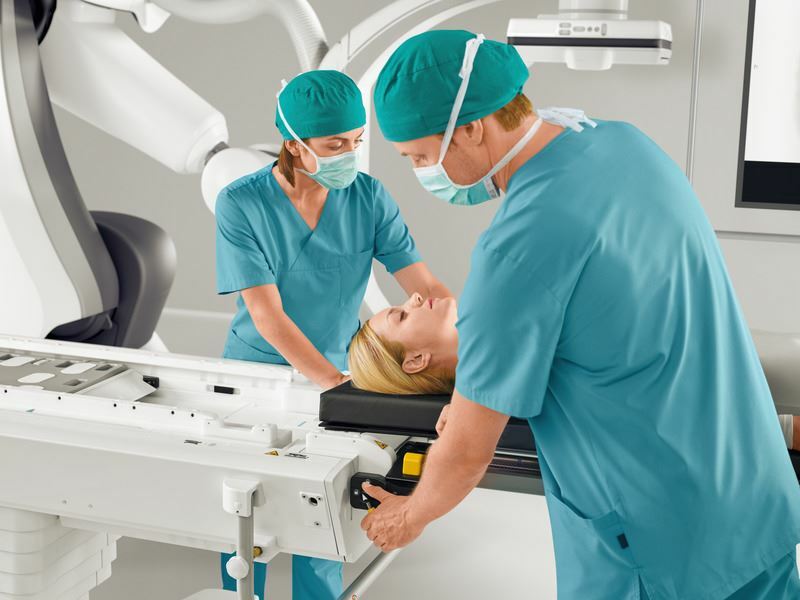 Using a special Docking Adapter developed by Getinge for nexaris Angio-MR-CT (1), it can be slid onto the Combi Dockable Table (1,3) to transfer the patient to and from the imaging system without repositioning them. For surgeons, this offers an easier, more efficient and safer way to diagnose and treat patient with real-time, intraoperative images. (1) The information shown herein refers to products of third-party manufacturer’s and thus is in their regulatory responsibility. Please contact the third-party manufacturer for further information. (3) The products/features (here mentioned) are not commercially available in all countries. Due to regulatory reasons their future availability cannot be guaranteed. Further details are available from the local Getinge organizations. This article is intended to provide information to an international audience outside of the US and China.